Early today the largest comic-book and popular-culture convention in Minneapolis announced a third former star of Power Rangers would be returning to the convention in 2013. 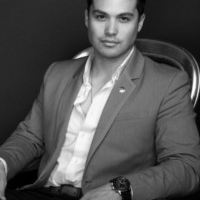 Minneapolis, MN - August 3, 2013 - The Minneapolis comic con, Meta Con, announced that Power Rangers star Michael Copon will return to the convention for the second time. Michael will be available during Q&A sessions and autograph signing events throughout the weekend, August 29 - September 1, 2013 at the Hyatt Regency in downtown Minneapolis. Weekend registration for the convention is $40 at the door.